You will be given a reference e-book to read which has 257 pages And the test will be based on that e-book , you can take the test only after 10 days Of &nbsp;purchase. The English language is one of the most widely used dialects in the developed world. It is spoken natively and more countries than any other language, aside from Spanish and Chinese. Businesses throughout the developed world use it as a standard language to conduct commerce, even between two companies of non-English-speaking origin. As a result, there is a perpetual demand for access to an English language course. Those capable of speaking English, either natively or as a foreign language stand greater employment opportunities in just about any nation on this planet. The demand for those capable of speaking this complex, homogenized language has never waned, and will only increase in the future. However, in order for a competent English language course to exist, there must be a competent English language teacher. As a result, the demand for those capable of teaching English as a foreign language is as great, if not greater than the demand for those who can speak the language and practical application. English as a foreign language is very difficult to teach, those who natively speak this language are often unaware of just how contradictory and abstract the language can be. Those who have learned other languages in the past may find it difficult to believe that English would be any more difficult than such languages as Chinese, Russian, or other infamously difficult languages. However, what many people do not seem to realize is that English did not evolve in a single area with a single culture to influence it. English is the result of multiple cultures spreading over vast distances and incorporating other languages and cultural influences along the way. Different dialects of English, following this, also began to develop in their own unique ways, until the information age. In the modern era, there is a vast, homogenized version of English which has many contradictory rules and strange roots that can be traced throughout many locations in history, from Rome and Greece to Spain, France, and any other culture that has had contact with lands that speak English. The challenge of teaching English as a second language should not taunt anybody who has a love for language, teaching, and people. It is far from impossible to effectively teach this language, it merely depends on receiving the proper training and certification, and how to accomplish it. There are many options, both on and off-line, to acquire a teaching English certification. However, when factoring in cost-effectiveness, total quality and convenience or the busy adult, online certification is inarguably the best option. Online certification saves money by eliminating expensive tuition costs, as well as travel time and reduction of hectic schedules for those who already have responsibilities. Our intuitive English language course includes an Certification Course, and thorough English teaching exam. Upon completion of the Certification course, the student may then take the exam, and upon passing it, receive a skill certificate. This skill certificate signifies that not only is the student capable of teaching English as a second language, but they are capable of doing it with the utmost confidence that only a Brainmeasures student could boast. Here at Brainmeasures, we have a philosophy that skills without experience do not amount to much. This is why we consult with experts in the many fields we teach, and listen closely to the stories they tell us from plying their craft. We take this experience and wisdom, and we integrated organically into our teaching, as well as our philosophy about how to present information. This innovative philosophy allows us to ensure that when a student receives a skill certificate, they not only understand the technical information about any given course, but they also have a foundation of wisdom and experience imparted by professionals who have been working in the given field for many years. 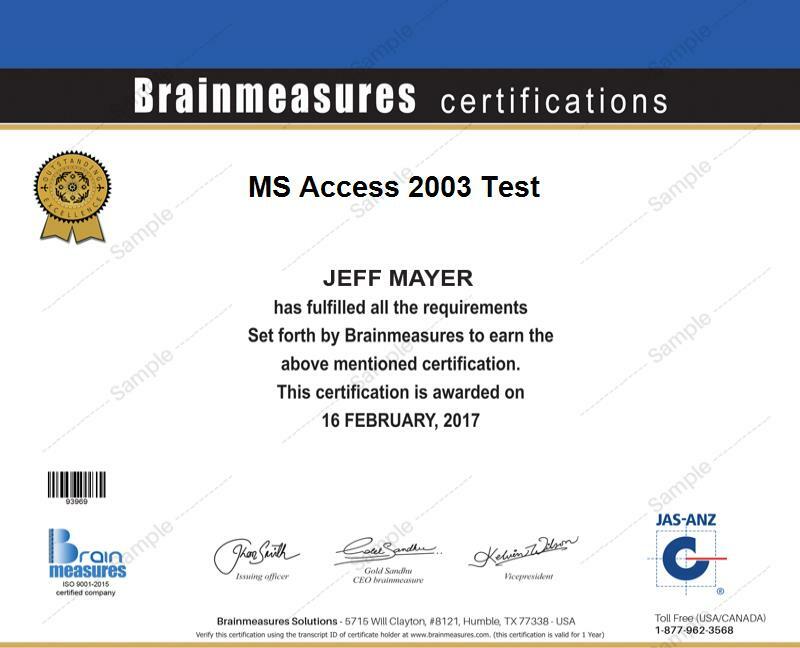 This gives a Brainmeasures graduate, a leading advantage that no other online certification provider could even dare to try to provide. The Brainmeasures teaching English certification course is designed so that anyone with an interest in teaching, and an interest in language is more than capable of entering this exciting and sought after field. While there are some obvious attributes that one should possess. He for deciding that this is an optimal career choice, anyone with a desire for learning, through the power of Brainmeasures, could enter this field through this certification. It is recommended that a student be a native English speaker, if they want to teach this language effectively. However, this is not a prerequisite, if someone who speaks this language as a second language is thoroughly fluent in it. Obviously, anyone who wishes to teach English as a second language to others needs to have an understanding of the culture and language based of the students whom they will teach. Someone who wishes to teach English should have a love for language, a love for both learning and teaching, as well as a love for working with people. Teaching is a delicate social skill just as much as intellectual, and it is important to bear that in mind. Patience is also a virtue that is necessary working with student. The most brilliant mind in the universe will still have to ask multiple questions several times at some point through a course. It is important to note that many of these professions can earn $65,009 - $133,981 and allow people to travel throughout the world and experience the rich, multicultural planet which we enjoy. This is an exciting profession to enter, and it will lead to a memorable and very fulfilling professional life.